2018 was a year of turmoil for China’s M&A market. In the first half of the year the market continued in a trough that persisted from previous years. 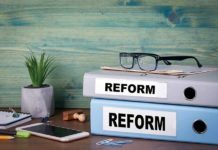 But in the third quarter, the Chinese Securities Regulatory Commission (CSRC) took action, unleashing a fresh wave of regulatory policies aimed at revitalizing the M&A market, from setting up a new examination regime, lowering the share issues requirement for fund raising, and speeding up examination and approval processes. In 2019, these policy reforms, along with a new law on foreign investment, are in place, and legal experts are optimistic that, as these gain traction, the year looks bright for M&A. A company must fulfil one of two criteria to be eligible for the small-sum rapid scheme. The first condition is for a company to have an accumulative sum in the M&A transaction of less than RMB500 million (US$74.6 million) in the past 12 months. The second is for a company to have issued shares for the M&A transaction in an amount less than 5% of the company’s total shares, and having an accumulative sum of transaction under RMB1 billion in the past 12 months. The CSRC has announced a number of specific industries that will be “white-listed” for a rapid channel, putting high-tech industries ahead of the line and including aerospace equipment, ocean engineering and high-tech ships, advanced railway equipment, electric equipment, and the biotechnology sector. The rules regarding the power of majority shareholders in share issues during M&A are also relaxed. This relaxation serves to revert some pervious rules, set in 2016, that blocked the ability of a controlling shareholder to strengthen its control through various transaction designs. It is expected that this expansion of uses of funds raised through shares issues in acquisitions is expected to stimulate listed companies to participate in more M&A activity. Another CSRC Q&A released on 20 October 2018, addressed the duration that a company would have to wait if it was previously turned down from participating in a restructuring and listing. From the original 36 months, the time that must be lapsed before the company can re-apply is now shortened to just six months. Wang notes that since the 17th IPO review committee began its term, from September 2017, the number of IPO rejections rose sharply. 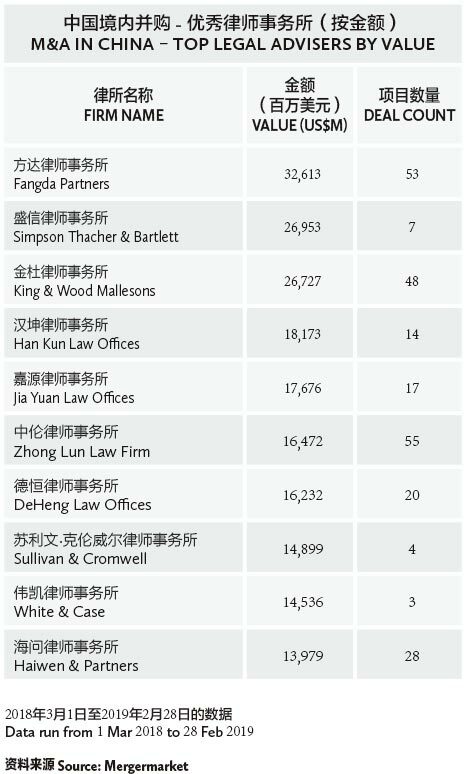 The 156 companies that were rejected throughout 2016-2018, mostly between 2017 and 2018, amount to RMB292.8 billion (US$43.7 billion) in their valuation. 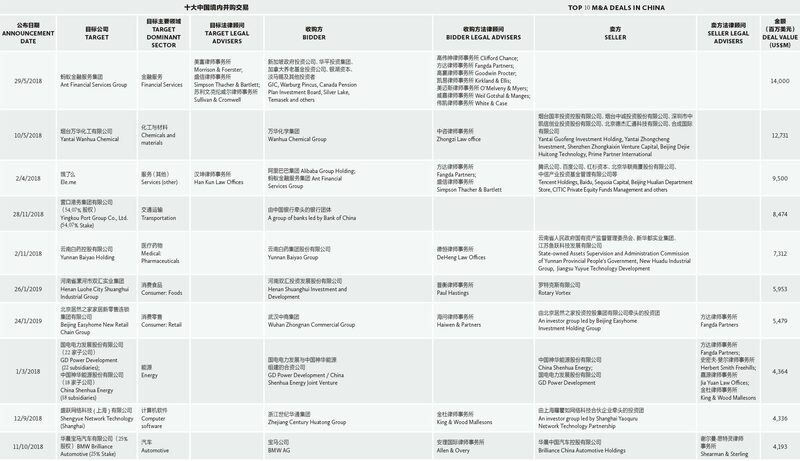 However, the new Q&A changes mean that up to 137 out of these 156 rejected companies may begin planning for restructuring and IPO again, which will “add up to RMB263.8 billion in value, and these are some valuable and big-ticket targets for our M&A market”, says Wang. 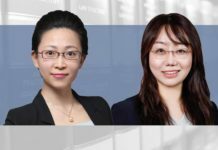 In another welcome change announced on 1 November 2018, the CSRC will start trials to allow the use of convertible bonds in M&A transactions. 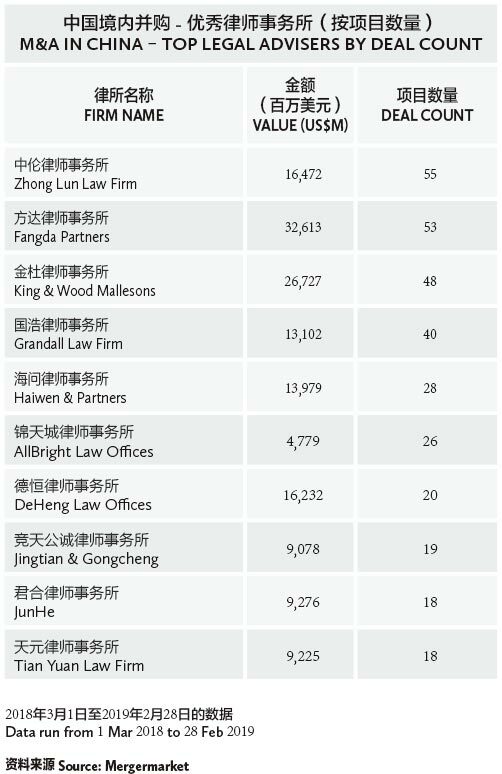 Implementation and regulation details are yet to be promulgated, but in the market there are already several trial cases of companies paying for their acquisition prices by partly issuing convertible bonds. 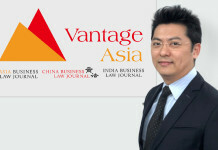 Wang says that “the use of convertible bonds is going to increase the flexibility of M&A negotiation, relieve the cash pressure for listed companies, and at the same time lower the risk of dilution faced by majority shareholders, and we shall see more expedient M&A deals if there are more of these to come”. Although these policy initiatives are relatively new, it is crucial to look at the close proximity in time, and the sheer number of them being issued. What is agreed among practitioners is that these initiatives strongly signify to the market that the CSRC is prepared to more actively stimulate M&A activities and capital market reform. Along with the push for greater M&A activity in China comes a separate effort by the regulator to reiterate its commitment to maintain and strengthen the prevention and detection of insider trading activities in corporate M&A. On 11 February 2019, the CSRC released a policy statement in a Q&A format On Strengthening the Prevention and Control of Insider Trading in M&A and Reorganization of Listed Companies. Jason Chan, a partner of Guantao Law Firm in Beijing, says listed companies, when conducting M&A, should submit to the exchange a list of insiders in the first instance, when they disclose the acquisition. 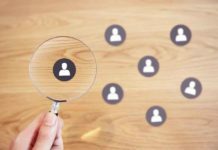 When there are major changes for the disclosed acquisition, or when disclosing a major element of the deal, the company should submit any amendments to the insider list at the same time. If there are abnormal stock trading fluctuations, exchanges may also request the company to update the insider lists. In short, there is a tightening of a company’s reporting duties. Chan says that to ensure compliance, all relevant parties, when participating in a corporate M&A, should diligently account for persons with access to insider information, and ensure each person strictly complies with the duty of confidentiality. “In preparing and signing the relevant confidentiality agreement, professional lawyers should be engaged to review the agreement in order to ensure that the agreement can properly reflect the most updated requirement on M&A insider information regulations,” he says. 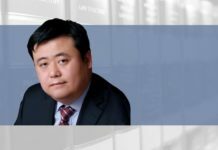 Ark Bao, a senior partner at AllBright Law Offices in Shanghai, notes that the Shanghai and Shenzhen Stock Exchanges are becoming more stringent in their regulation of trading suspensions by listed companies for major events. There are heightened requirements for application for trade suspension, and the duration of trade suspension is also greatly shortened. “We understand that this is to avoid an extended pause in trading, which may harm the stockholders’ right to trade, and also to prevent companies from abusing the mechanism for the purpose of avoiding price fluctuations,” says Bao. 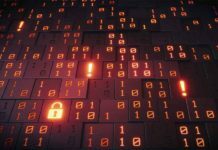 “Yet meanwhile, this new suspension policy is bringing new challenges for related parties as to how to adequately prevent the spread of insider information. A big development in the law early this year has been the newly approved Foreign Investment Law. The State Council released the Comments Sought on the Foreign Investment Law (Draft) on 26 December 2018, and the period for comment submission ended two months later, on 24 February. The law has been widely received as a major overhaul of the law governing foreign investment into China. It was also a notably rushed process, in that from draft bill to becoming actual law took only three months. Earlier, in 2015, there was a first attempt at formulating a Foreign Investment Law, but the new draft is vastly different in format and content, slashing the original 170 articles to just 39. The new Foreign Investment Law supersedes three current laws (the Law on Chinese-Foreign Equity Joint Ventures, Law on Chinese-Foreign Contractual Joint Ventures and Law on Wholly Foreign-Owned Enterprises) to create a basic law for foreign investment. On 8 March, vice chairperson Wang Cheng brought the draft to the 13th National People’s Congress (NPC), stressing that the law will highlight the underlying tone of opening up and promoting foreign investment, adhering to Chinese characteristics and making sure that domestic and foreign capital will be treated equally. The NPC approved a final version on 15 March 2019, and the law will become effective from 1 January 2020. 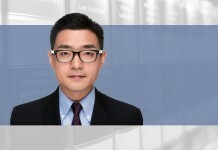 Yi Xiangyang, a partner at Jingtian & Gongcheng in Beijing, points to whether a VIE (variable interest entity) structure will continue to be viable under the new law. At present, foreign investors may utilize a VIE structure to establish control of a domestic company, and may invest in otherwise closed sectors. In the 2015 draft, the VIE structure was explicitly defined as one of the forms of foreign investment. 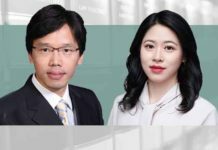 At that time this even prompted the Hong Kong Stock Exchange to amend their policy document to advise listing applicants with VIE structures to be mindful of any new development in this regard. On the other hand, Yi suggests there are signs that foreign investment may receive relaxation on restrictions faced when remitting profit overseas. “Currently, a foreign investment company can theoretically remit their profit if they can fulfil some simple requirements, but in actual practice, various relevant departments are vague in their policies and often place additional administrative requirements,” he says. 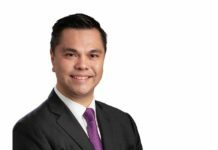 Raymond Wong, managing partner at Seyfarth Shaw in Hong Kong, notes that in the past foreign-invested entities, including investments made from Hong Kong, Macau and Taiwan, are governed by a special set of rules. However, once the new Foreign Investment Law takes effect, new foreign-invested entities will start following the Company Law or the Partnership Enterprise Law of China, the same as local entities in mainland China. Furthermore, the new law has extended the jurisdiction of the past three laws from direct investment and greenfield investment to include indirect investment, M&A, project investment, etc., to capture wider investment approaches. At present circular 10 requires pre-approval for related entities’ cross-border M&A. It remains unclear how the new law interacts with circular 10, but “if it is clarified that the FIL prevails, the pre-IPO restructuring process may become more straightforward”, says Wong. Looking ahead for 2019, it seems that the general trend of lenience in M&A regulation will continue. “The various widened regulatory policies from the second half of 2018 will be implemented gradually in 2019,” says Tan Sijun, a partner at Jia Yuan Law Offices in Shenzhen. “The M&A market is warming up again and we can see that the number of M&A plans has surpassed the amount from last year over the same period. Sam Liu, managing partner at DeHeng Law Offices in Shenzhen, agrees. “Under the current regulatory policy, listed companies should grab the period of opportunity to achieve leaps forward in company expansion, utilizing the various new policies including issuing shares to purchase assets, price adjustment mechanism in share issue, and ‘small-sum rapid’ examination,” he says.